5G sickness about to strike. We are Generation Zapped. By B.N. FrankMost would agree that firefighters are some of the bravest among us. 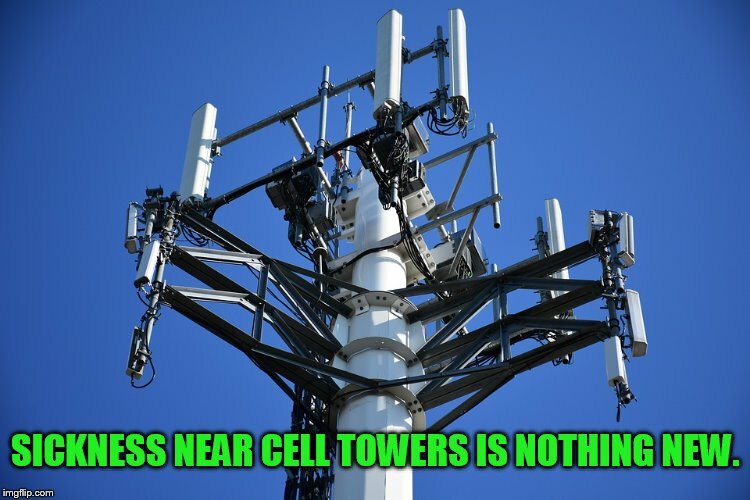 That’s why it’s noteworthy that the International Association of Firefighters (IAFF) has opposed the use of their stations for cell towers and antennas since 2004. Their website has many pages of research that they reference to support this opposition. Some of it was conducted on firefighters. Thanks to Scientists 4 Wired Tech for thoroughly documenting what has been happening to residents in Sebastopol, CA after a Macro cell tower was installed 250 to 500 feet from their homes (scroll down to middle of page). Increased sickness experienced by those living and working near cell towers and other wireless and electrical infrastructure is nothing new. Activist Virginia Farver’s son died from brain cancer in 2008. He was living in a college dorm near a cell tower when he was diagnosed. Many others didn’t fare well at that location either. For 20 years now, insurance companies have refused to cover wireless radiation exposure risk. U.S. guidelines, testing and legislation regarding wireless devices and infrastructure are 20+ years old. They didn’t protect us much then and obviously more devices and infrastructure have been introduced since. The U.S. government is supposed to protect the public and the environment from Big Tech. Every day their refusal to act on our behalf becomes more ridiculous and heartbreaking.